Since its inception in 2006, Christopher Kane’s eponymous label has become renowned worldwide for its ability to transform the ordinary into the extraordinary with its highly creative and playful house signatures of constant innovation, rebellious femininity and extraordinary skill. 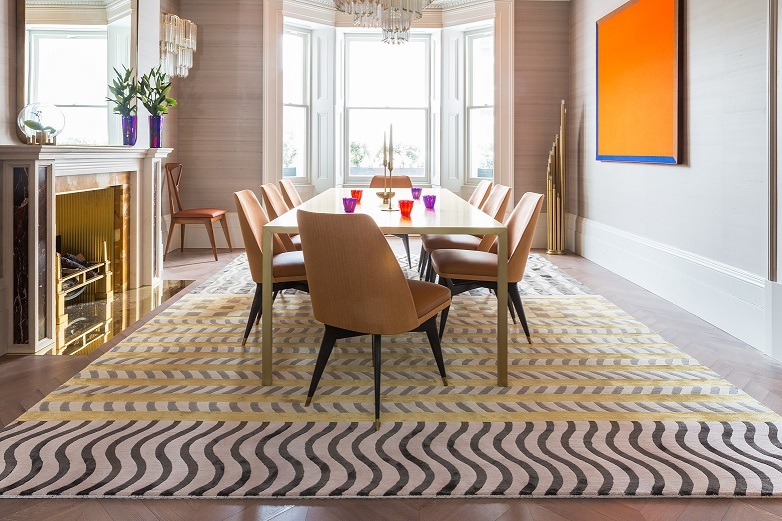 Combining multiple inspirations from past collections, Kane’s designs for The Rug Company reflect his immediately recognisable style. Inspired by botanical illustrations and his interest in biology, Kane’s Botanical Anatomy cushion depicts an intersection of a carnation, reminiscent of the scientific flower diagrams used in school textbooks. The iconic floral motif, previously emblazoned onto sweatshirts, is finely handwoven from silk yarns and iridescent metallic threads on a matte wool background. The Botanical Anatomy rug takes inspiration from the same collection. Kane subverts and amplifies the traditional floral motif, which is repeated and inverted to create a highly decorative, statement design. Handcrafted from a combination of rich silk yarns and Tibetan wool, the Botanical Anatomy rug is available in two colourways; a dusky blush and soft smoky grey. Rich in dimension and texture, the Filigree rug features an interlocking, graphic motif which is handknotted in raised silk, the sinuous lines entwine giving the impression of movement and fluidity. Kane’s distinctly modern aesthetic is reflected in the Grid Construct and have Construct rugs. Informed by the constructivism movement, there is also an element of Mackintosh chairs in the famous Willow Tearooms in Glasgow. 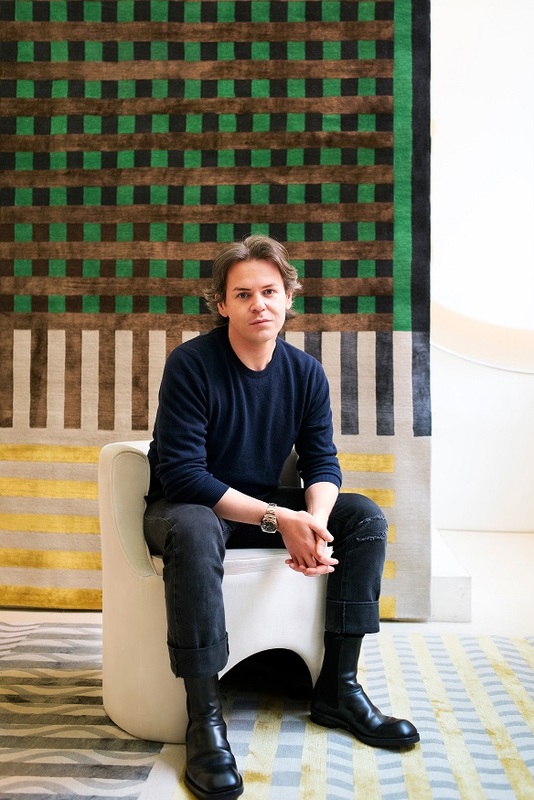 In keeping with The Rug Company’s philosophy, the collaboration with Christopher Kane marries exceptional design and high—quality materials with traditional craftsmanship. Using the masterful weaving techniques for which The Rug Company is renowned, each piece is meticulously handwoven using age—old weaving techniques in Kathmandu, Nepal.